It's December and Christmas is practically upon us. The next few weeks provide a huge opportunity for almost all retailers to end the year on a high. Tip 1 - Is your last posting date prominent all over your website? 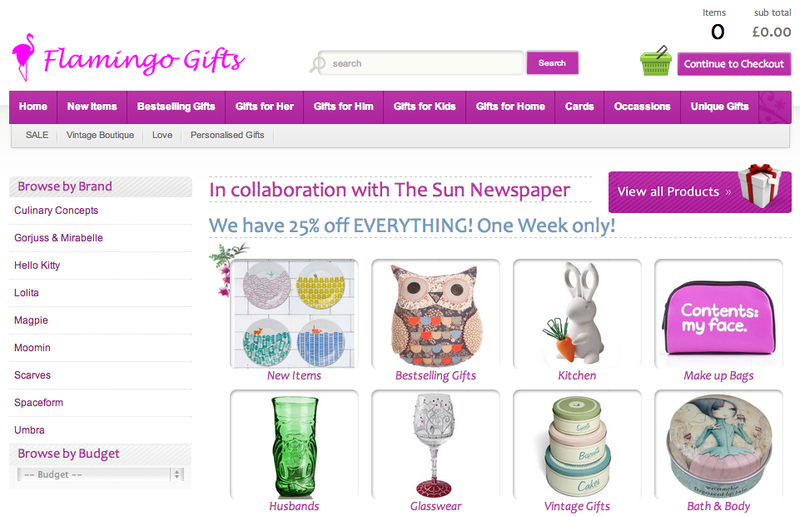 Many of your customers - from emails, PPC, SEO, referral - will land on product pages and category pages. Having the last posting dates on your delivery details page, or your home page isn't enough. MoneySpyder's clients all experienced growth on last year in November sales and there's a good feeling about December. Aside from making sure your servers don't overload and your warehouse printer is full of paper, there is still plenty you can do to make sure you get the most out of December. Tip 2 - Update your PPC ad copy, email campaigns, and social media with your last posting dates - Don't let anyone miss out on buying from you because they didn't know when the last posting date was. One key demographic to target are the panic buyers and for them, the most important thing to communicate is your final posting date. Tip 3 - Up-Sell your postage options - Can you offer guaranteed delivery after everybody else? Can you offer Saturday delivery? Use all your delivery options to your advantage. Running a last minute offer on express delivery may be the difference between an online sale, or your customer going elsewhere. If you need some ideas to maximise your marketing efforts in the run up to Christmas, or if you need an extra hand to help with your email marketing, PR, or PPC get in touch now. Moneyspyder use SagePay for many of our ecommerce platform clients. Here's some information on exciting product improvements that are coming up, from Katy Wilson at Sagepay. ‘Single-click’ checkouts use tokenisation to convert sensitive shopper card data into an encrypted series of digits (the ‘token’). This token is recalled on subsequent purchases – removing the need for the shopper to re-enter their card details.Using tokenised payments to obtain a ‘single-click’ checkout means that the process is slick and seamless for your customers. It is particularly beneficial when it comes to the steadily increasing numbers of shoppers browsing and buying through mobile and tablet channels. • Encourage repeat payments: Our Payments Landscape Report 2014 showed that 41% of successful businesses are offering tokenised payments and have seen a related boost in conversions. Single Click checkouts also help you capture loyal customer data that you could use for more targeted marketing. • Be mobile ready: Although you may have optimised your site for mobile browsers, or even have a mobile app, you may not have considered the payment process. Using a single-click checkout means that customers browsing on their mobile or tablet don’t need to fiddle around entering long card numbers – they can simply click and buy. • Secure your profits: Our survey reports tokenised payments have saved businesses an average of £6,010.43 off their PCI regulation costs. Large businesses are seeing the biggest impact, with overall savings of upwards of £8,000. The secure technology that Sage Pay provides for ‘single-click’ purchases also has the added bonus of dramatically reducing the cost of PCI Compliance for merchants. On 30 September Google is updating their feed specifications. They are adding some extra fields to improve search accuracy and making some changes to fields that you should already have. These changes won't impact the majority of feeds, but they may make your feed more accurate and more useful to Google, and therefore, more valuable to your business. Availability attribute - this is being simplified by combining the 'available for order' value with 'in stock'. If you use the 'available for order' for pre-orders this should be changed to 'in stock'. Character length limits - Google are adding limits to how much you can write in your titles, descriptions and other attributes. These limits are quite generous and shouldn't affect too many people. Your Merchant Centre reporting will notify you if any products exceed the limit. You can see what these limits are here: https://support.google.com/merchants/answer/188494. Mobile landing pages - if you have a non-responsive site (an m. site) you can now specify landing pages. This cuts out the time taken for normal URLs to redirect to mobile sites and improves the mobile shopping experience. Merchant-defined bundles - if you sell products as part of a bundle you can now specify that some products can be bought together. Apparel attributes - to make searches for clothing more accurate new categories have been added to the 'age_group' attribute and new size attributes have been created. These are 'size_system' and 'size_type'. These are the main changes. If you have any doubts about whether your feed will continue to work, please get in touch and we'll help you work out what you need to do. Since Google updated Google Adwords Shopping Campaigns in August we have seen changes in the way Google Shopping has performed for our clients. In some cases traffic has increased dramatically but conversions have not kept pace. We've also found that estimated bid prices are much lower in some cases than they were with the old PLA accounts. These trends, along with the increasingly competitive marketplace of Google Shopping, mean that you won't get away with turning your PLAs on and leaving them running. The good news is that the new functionality that Google has added makes it much easier to optimise the Shopping ad performance. Look at device performance - Google Shopping won't necessarily work across all devices. 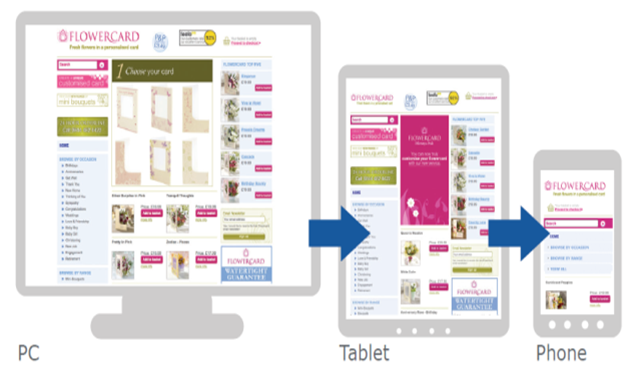 We have seen some clients where adverts have been shown on mobile as much as on desktop, but without any conversions. In this instance we've paused mobile bidding and saved valuable pounds. Use Impression share and bid price estimates to work out bids - The new Shopping campaigns give competitor data like Benchmark CTR and CPC, as well as impression share. Use these to work out how much to spend on your clicks. Add negative keywords - Use the Search Term report to see which keywords are sending traffic to your site via Shopping. Exclude any keywords that are don't cost in. Optimise headings for keywords - Unlike normal Adwords, Google decides which searches your adverts should appear for. You can increase the relevance of these searches by optimising your headings and descriptions for well qualified keywords. Split Out Campaigns Using Custom Labels - Custom labels, which you can add to your feed, make it much easier to split out your campaigns by product type or category. This increased granularity is absolutely crucial to good campaign performance. Use the Dimensions Report - Use the Dimensions tab to identify poorly performing products and exclude them from your feed. Last week Moneyspyder were at the Google Analytics Partner Summit in San Francisco. At the Summit Google announced some great new functionality that improves the quality of data collected by Analytics, as well as making the insights it provides more accessible and actionable. 2. Use Google Tag Manager – Google Tag Manager allows you to add and change tracking tags without having to deploy new code, and without involving your developer. This makes upgrading Analytics easier and cheaper. 3. Get a retargeting strategy – retargeting is becoming an ‘always on’ marketing solution. Review your analytics to define your most valuable segments and market to them with the remarketing tool. A good place to start is with Google’s ‘Smart List’, which creates a remarketing list of your most valuable visitors, based on their behaviour on your site. Google’s main announcement was Enhanced Ecommerce, which is a dramatic redesign of the ecommerce functionality in Analytics. Enhanced Ecommerce automatically tracks and displays your checkout funnel. It also allows you to view more information about products. Whereas previously it has only been possible to see how many products you have sold. Enhanced Ecommerce shows how many times a product has been viewed and how many times it has been added to the basket and then purchased. This makes Enhanced Ecommerce a powerful merchandising tool; allowing you to identify and promote your top performing products. You can see a much more detailed summary here. Google’s other announcements make Analytics a much more accurate reporting tool. With the existing Data Import functionality, businesses could automatically upload cost data such as the cost of your email, affiliate and display ads. This makes Google’s ROI calculations more accurate. It is now possible to upload many more types of data into Analytics. You can import your refund figures so that your revenue number in Analytics starts to reflect your actual bottom line. You can also upload additional product data, such as what category or brand they belong to. One final thing to emphasise is the improved remarketing capabilities. Businesses can now use advanced segments as remarketing lists meaning targeting has never been more accurate. Upgrade to Enhanced Ecommerce and Universal Analytics. Make your life simpler by using Google Tag Manager to manage your Analytics tags. Grow your Remarketing Campaigns - Make sure you don't miss out on easy revenue. If you want any more information on what these changes mean, or for help configuring your Analytics call us on 0207 492 1929 or email us on info@moneyspyder.co.uk. Even in this age of shifting social media trends, email is still ranked as one of the most important marketing channels, if not the most important. Good email content not only enhances your brand image but also allows online retailers to build a sustained marketing campaign. It is a crucial for good engagement with customers both pre- and post-sale. · 91% of consumers check their email daily. · 74-77% of consumers prefer to receive commercial communications via email. · Email marketing has an ROI of 4,300%. · Test everything. Especially your subject line. 33-35% of people open emails purely based on the subject line. · Include easily identifiable links to your site, remembering to consider your landing page carefully. People don’t want to have to search for a product they’ve just clicked on. · Plan. Prepare an email marketing calendar in advance so that you know when promotional/sales events are coming up. · Tag your campaigns in order to monitor their success using Google Analytics. · Forget that around 50% of emails are read on smartphone or tablet screens. Email design that responds automatically to the device it’s opened on is crucial. · Write too much. Keep your copy brief and your images engaging. · Rely on gimmicks or spammy sounding offers to try and increase customer engagement. Your email will either end up in the junk folder, or you’ll destroy customer trust in your brand. · Incentivise sign-up with special offers for those who are subscribed. · Reassure clients that you won’t share their data with other parties. · Make sure your opt-in/subscribe box is clear and prominent on your website. · Go for quality of subscribers over quantity – better a few subscribers who buy regularly than a long list of recipients who don’t even open the email. · Show people who aren’t subscribed what they’re missing using Twitter, Facebook etc. Remember your different sectors of target customers. …engage with people who haven’t bought from you before? ...re-engage with people who haven’t bought for a while? …encourage people who buy regularly? · Which are the best days and times to send out emails. This will vary depending on whether you are marketing your products to other business who are usually contained between the hours of 9-5 or individual customers who generally shop out with these times. · Different layouts. Mix it up, pure and simple. Want any help or advice on email content? Get in touch on 0207 492 1929, email info@moneyspyder.co.uk or visit our website.